From vegan black bean and quinoa sliders, to a peach panzanella salad made with gluten-free sourdough cubes, explore some of our favorite summer recipes for an outdoor cook-out, BBQ, picnic, and more. 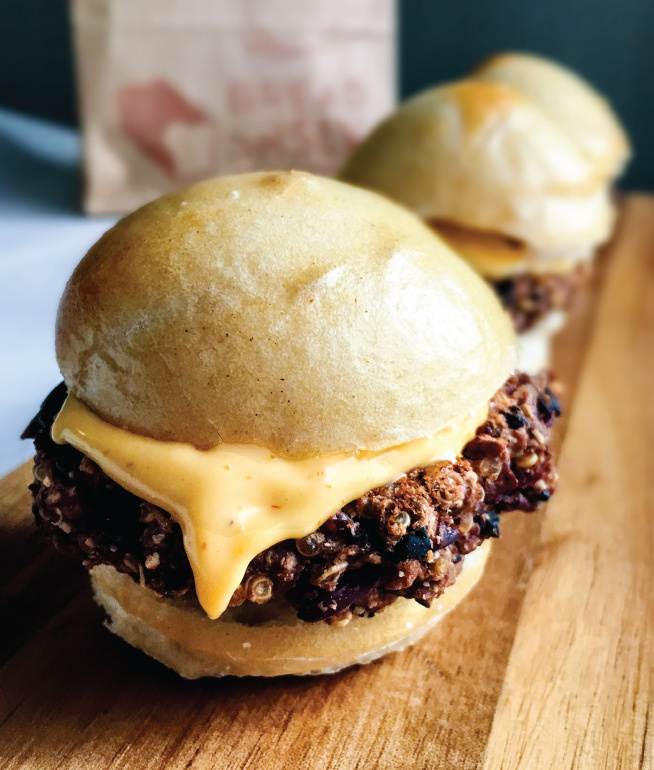 These spicy vegan sliders are almost impossible to resist, whether you're a meat-eater or not. The combination of black and kidney beans create a hearty patty, an assortment of spices add a welcome kick of flavor, and a generous dollop of vegan Sriracha aioli takes this recipe to a new level. Serve these between gluten-free sourdough dinner rolls for a great vegan and gluten-free appetizer, game-time snack, or BBQ headliner. Featuring crispy eggplant bacon (yes, you read that right!) and a rainbow of fresh vegetables, Beard & Bonnet's artichoke and kale veggie sandwich tastes like summer in a bun. It's light, yet filling, and nothing short of the perfect summer lunch. This vegan take on a classic comfort food is an easy weeknight dinner or a crowd-pleasing BBQ entree. Even meat eaters will enjoy the rich, hearty flavor of this wonderful plant-based recipe from Tasty Yummies. Plus, they're really fun to eat! Come on now, who doesn't love French toast? This version from Curry Girls Kitchen incorporates Grand Marnier and has a bright, citrusy taste that will make you look forward to Sunday brunch more than ever before. Plus, it's topped with a sweet apricot jam recipe that anyone can whip up with ease. The Bojon Gourmet's donut peach panzanella with arugula, ricotta salata, tarragon, and gluten-free sourdough cubes is light, sweet, crunchy, peppery, and all things delicious. Enjoy it as a summer lunch, or char it on your grill for your next summer cook-out.